Poki is delighted to announce today that they have been awarded the prestigious Red Dot Design Award for Communication Design 2018 for their new, playful company site. Winning over a 24-member jury and competing alongside thousands of projects from around the world, the Red Dot Design Award is presented to projects that display the highest levels of design quality and creative achievement. As an online platform for games, “playful” is in Poki’s DNA. But beyond that, they’re on a mission to create the ultimate online playground to serve players, game developers, and advertisers alike. So the question arose: how to tell Poki’s story and communicate this playfulness to such a mixed audience? The result is a site that fuses the concept of a company website with a web game. It’s a truly playful touchpoint that’s also smart, friendly, and a little funky – just like Poki. 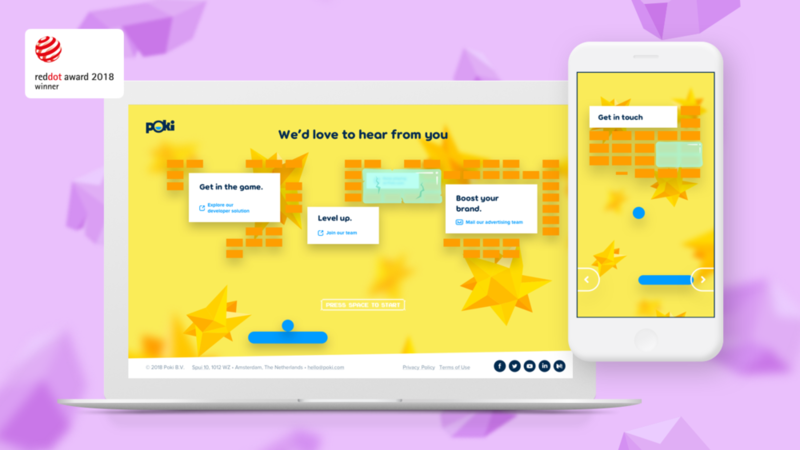 The site is the product of a successful collaboration between Poki’s design strategists, game tech engineers, and agencies Resoluut (NL) and Evermade (FI). Poki is on a mission to create the ultimate online playground. With more than 30 million monthly users around the world, their casual game platform unites players, game developers, and brands to bring more fun to the web. Resoluut is an Amsterdam based digital design agency that designs brands, interfaces and products. They create products and brands people love to use. Evermade is a digital agency from Helsinki, Finland. They work with a range of leading companies to create websites and web services that not only work like they should, but that are beautiful, engaging, and effective. The Red Dot Award is one of the world’s largest design competitions. In 1955, a jury convened for the first time to assess the best designs of the day. Ever since, the sought-after Red Dot distinction has been the revered international seal of outstanding design quality. For more information, please contact Audrey Tolbert (audrey@poki.com). Poki is a web platform with more than 30 million users from all over the world. On it you’ll find thousands of hand-selected online games that you can play on your mobile, tablet or desktop.We work closely with game developers to bring you the very latest free online games. For our younger fans we’ve created Poki Kids. It’s our mission to become the ultimate online playground where players and game developers come together to play and create. Let’s play! 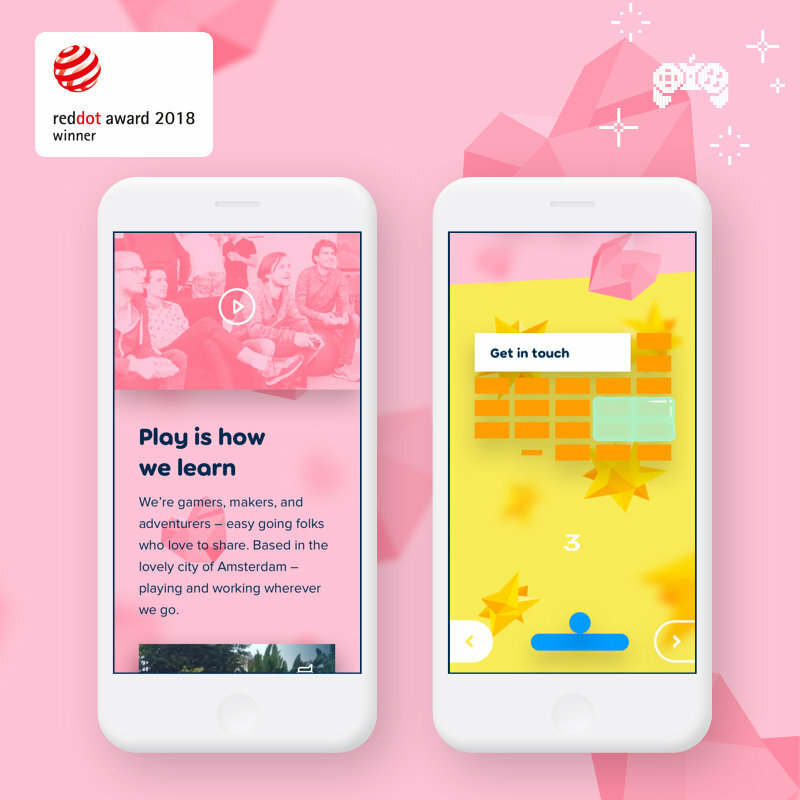 Poki is delighted to announce today that they have been awarded the prestigious Red Dot Design Award for Communication Design 2018 for their new, playful company site. Color Switch sequel: Color Switch: Challenges is now available to play! Cross-platform game publisher Poki announced today that it has teamed up with Gamehour, an official Game Developer of Barcelona Football Club, to bring FC Barcelona Ultimate Rush to hundreds of millions of players on the web. This exciting new running game allows anyone to play an immersive running journey in the streets of Barcelona with Barça’s current superstars such as Lionel Messi, Luis Suárez, Neymar JR, Gerard Piqu​é​ and André​ ​s Iniesta. At Poki, helping game developers succeed is an essential part of our mission to become the ultimate online playground for users and developers. That’s why we were immediately inspired when we first met David Reichelt, the creator of Color Switch.